Mt. 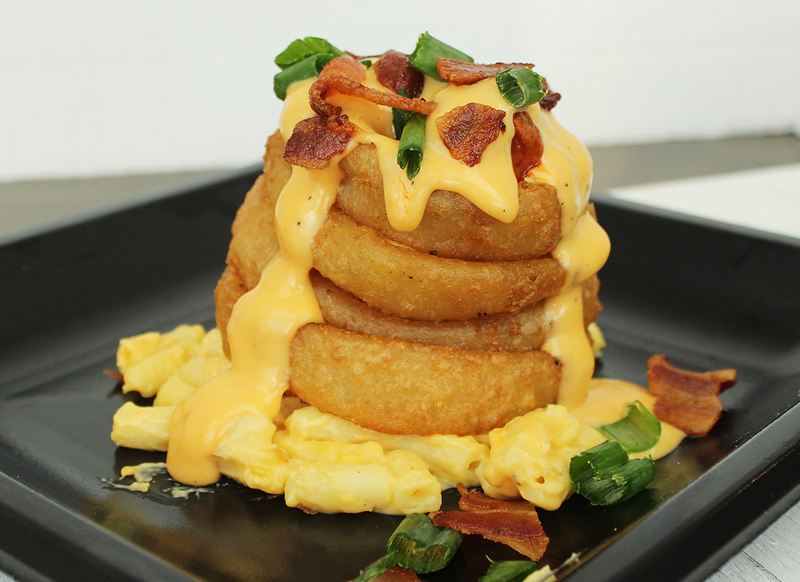 Wing-suvius, submitted by John King of Lansing, is a tower of gigantic onion rings layered with mac ‘n’ cheese, boneless chicken, beer cheese, bacon and green onions. Last year’s winner, Beercheese Poutine, remains on the menu for the 2018 season, as does the massive Fifth Third Burger, a foodie favorite staple of Fifth Third Ballpark since 2009. Westsider: This half-pound, cheddar-infused kielbasa sausage is wrapped in bacon, then fried and served on a sub bun. Swimmin’ Pig: The original signature sandwich of the Whitecaps makes a return for the team’s 25th season. It’s a seven-ounce pork chop sandwich, swimming in barbecue sauce and served on a Kaiser bun. These will be available on a limited basis (25 sandwiches available at 25 games this season: Opening Day and every Thursday, Friday and Saturday home game from May 18 to September 1). Spicy Boneless Wings: Available with three flavors to choose from: Wimpy, Near Death, and Death Nectar. The Big Wheel: This is Whitecaps manager Lance Parrish‘s favorite ballpark sandwich. It consists of two third-pound burgers, a Johnsonville Brat split down the middle, and cheese, onion and lettuce on top. Asian Noodle Bowls: Two choices of noodles, Yakisoba or Lo Mein, with your choice of Coconut Lime or Thai broth, and your choice of carrots, sprouts, green onions and Sriracha spices for toppings. Deep-fried Bananas Fosters Cheesecake Bites: Served with caramel dipping sauce. Shipwrecked: A new signature drink. Captain Morgan White, Captain Morgan Spiced, Blue Curacao and more in a 64-ounce fish bowl. Serves more than one (if desired). Cheese Curds: Beer-battered and deep-fried cheese curds. A little salute to our neighbors to the West. You can see photos of all Whitecaps concession items on the team’s food website, https://www.capsgrubgetter.com.